Press Release:– The Hon. Gordon “Butch” Stewart, O.J. C.D. Hon. LLD, Chairman and Founder of Sandals Resorts accepted the Chancellor’s Award on behalf of his company at the 10th Annual University of The West Indies (UWI) Toronto Benefit Gala held at The Ritz-Carlton Toronto on April 6, 2019. The Chancellor’s Award is presented to a Caribbean organization in recognition of their extraordinary international success and positive contribution to the region. Since first opening Sandals Montego Bay in 1981, the family-owned, privately-held hotel company has grown from that single all-inclusive resort in Jamaica to become one of the most well-known, award-winning hospitality groups in the world. 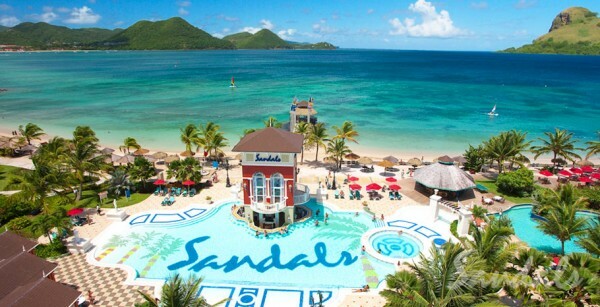 With five brands and 24 resorts in seven countries – Antigua, The Bahamas, Barbados, Grenada, Jamaica, St. Lucia and Turks and Caicos – Sandals Resorts International is the undisputed leader of luxury, all-inclusive vacations in the Caribbean. 2019 also marks the 10th anniversary of The Sandals Foundation, the philanthropic arm of Sandals Resorts International, which to date has raised more than $11 million, impacted well over 850,000 people in the Caribbean with the overall dollar amount of projects and programs implemented in three core areas – education, community and the environment – valued at over $58 million dollars. Established in 2010, the UWI Toronto Benefit Gala raises money for the University’s Scholarship Fund and receives tremendous support from the Canadian private and public sectors and educational institutions. Over 500 scholarships have been awarded to academically outstanding students across the Caribbean who do not have the necessary funds to realize their potential.